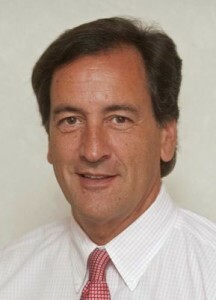 Charles J. Fuschillo is a former Republican member of the New York State Senate from Long Island. From 1998 to 2013, he represented the 8th State Senate district which spans several South Shore communities in both Nassau and Suffolk Counties. The district currently includes the communities of Wantagh, Merrick, Bellmore, Massapequa Park, Freeport, Roosevelt, Seaford, Amityville, and Copiague, as well as parts of Massapequa, Farmingdale, Baldwin, Lindenhurst, West Babylon, Wheatley Heights, and Wyandanch. Senator Fuschillo resigned from the New York State Senate on December 31, 2013 to serve as the CEO of the Alzheimer’s Foundation of America. The Alzheimer’s Foundation of America (AFA) is a network of over 2,600 member organizations throughout the United States who provide optimal care and services to individuals confronting dementia, and to their caregivers and families. In this podcast, Toula interviews Charles Fuschillo, CEO of the Alzheimer’s Foundation of America to learn how the AFA can help you.